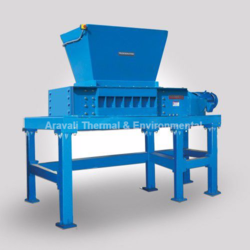 Supplier & Manufacturer of Incinerator Shredder. Our product range also comprises of Waste Incinerators, Hot Air Heaters and Portable Autoclave. 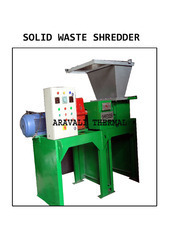 Aravali Thermal manufacturers highly efficient shredders for municipal solid waste. The shredders are fitted with anti corrosive, heat tempered cutter with multiple shafts. The shredders are available in capacity ranging from 500 kgs/hr to 5000 kts/hr. 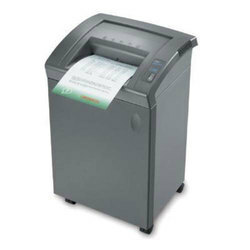 We can offer a wide range of Shredding Machine at sensible and aggressive rates.The whole scope of machines offered by us can likewise shred paper with clasps and stapler pins.These shredders are utilized as a part of extensive workplaces wherein a typical Shredder is used.These Shredder can likewise shred cd's. The offered Shredders are intended to flawlessness utilizing incredible quality parts and the most recent innovation. We make accessible for our profitable customers a prevalent quality arrangement of Industrial Shredders. These shredders are decisively planned utilizing top notch parts under the supervision of experienced experts at merchant's end. These shredders are utilized for destroying metals, family apparatuses, glass, elastic, plastics and other light iron; these shredders discover application in differing modern areas like vehicle, electrical, electronic and other building businesses. We are producer and provider of Industrial Paper Shredders, which is anything but difficult to utilize and are very adaptable. Our experience individuals from our master group outline these machines with the utilization of most recent and propel innovation accessible in the market. It is likewise called as Pharma Waste Shredder, Industrial Paper Shredder, Extra Heavy Duty Shredding Machine.It is fundamentally utilized as a part of pharma enterprises, montages, doctor's facilities, bundling ventures and so forth.